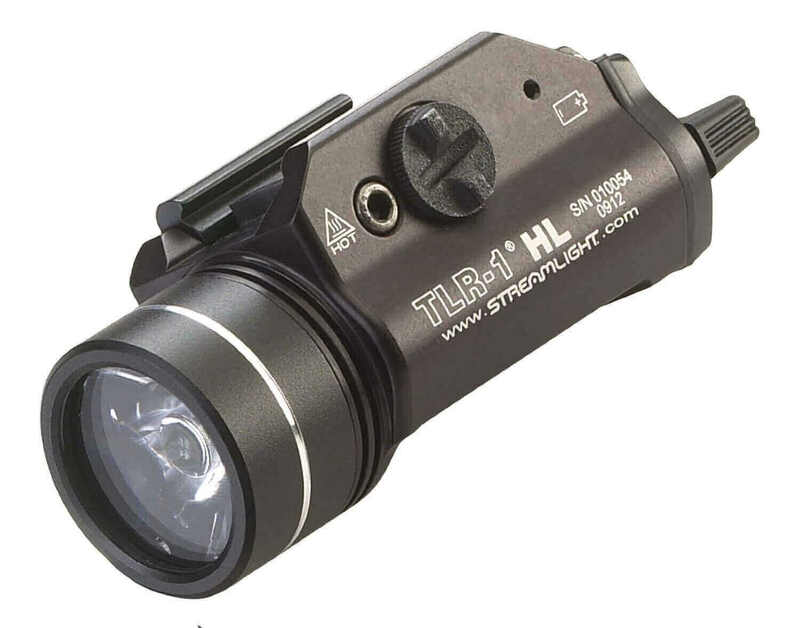 Streamlight 69260 TLR-1 HL High Lumen Rail-Mounted Tactical Light. The TLR-1 HL provides a 800 lumen blast of light for maximum illumination while clearing a room or searching an alley. Its wide beam pattern, lights up large areas so you can identify who or what is nearby. C4 LED delivers 15,000 candela peak beam intensity; 800 lumens. TIR optic produces a concentrated beam with optimum peripheral illumination. Powered by two 3-volt CR123 lithium batteries with 10-year storage life. LED Rating: Up to 15,000 candela peak beam intensity and up to 800 lumens measured system output. Run Time: 1.5 hours regulated run time. Solid-state current regulation for consistent illumination level. Operating temperature: -40 to 120 Degree Fahrenheit. IPX7 waterproof to 1-meter for 30-Minutes. User programmable strobe can be enabled/disabled. Powered by two 3V CR123A lithium batteries (included). Length: 3.39-Inch (8.61 cm); Weight: 4.18-Ounce (118.6 grams).